As I shared with you last time I’ve been working away on some Mixed media pieces lately. Currently I have 15+ paintings on the go in prep for some Art Submissions as well as 2 or more gallery exhibits coming up in 2017. Busy busy. 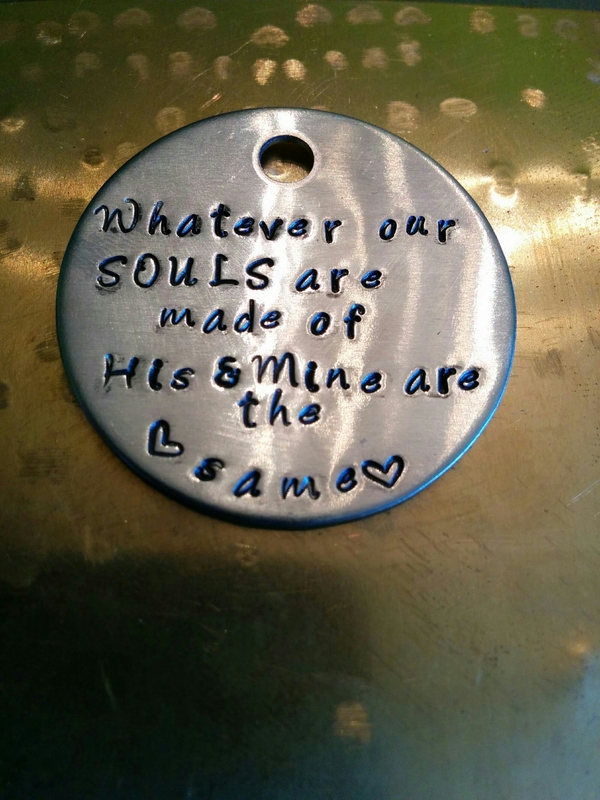 On top of all the art I’m also increasingly busy as I enter into the Christmas order rush with my hand stamped jewelry business. For those that don’t know I own Amanda Milke Art and Jewelry Studio so my hands are always working on something. 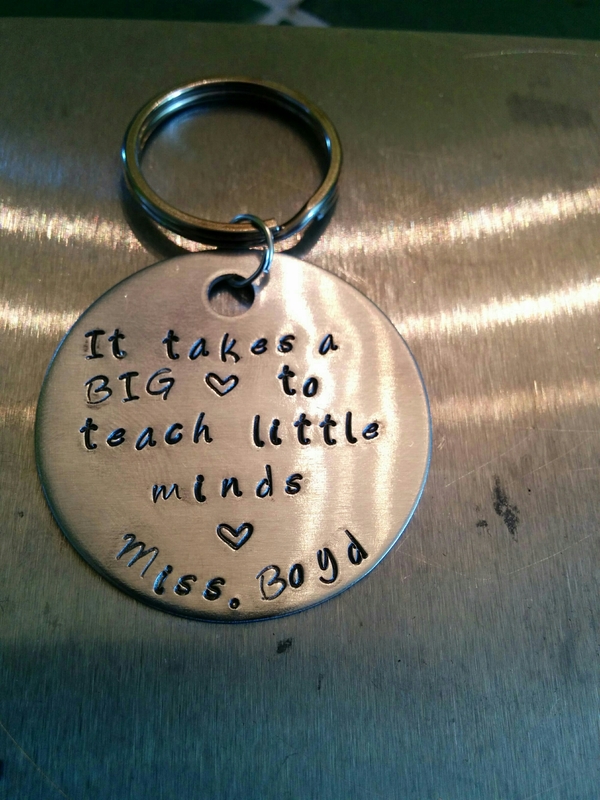 This fall has been a steady mix of Painting, Teaching art classes and Metal stamping orders. Now I enter in to my peak season and starting mid November I’ll be adding Christmas markets into the mix as I set up my booth as a vendor. Thus why I am trying to get a bunch done now before I hit my chaos zone. Here’s a look at the studio and some of the pieces I’m in progress of. May your creative Muse be kind allowing you to create something beautiful. This entry was posted in 2016 Artwork, Abstract, acrylic, Art, Art Classes, Art Exhibit, Art Submissions, Christian Themes, Color Exploration, Etsy Shop, Fort Saskatchewan, Hand Stamped Designs, Home Studio, Jewelry and tagged Amanda Milke on October 31, 2016 by Amanda. 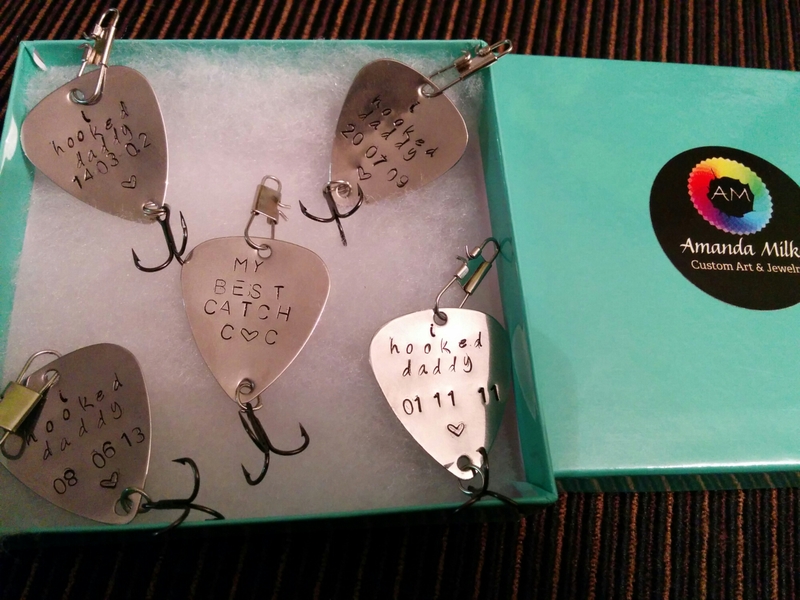 A few weeks ago I got a custom order request to make some hand stamped guitar pick fish hooks as a Father’s Day Gift. 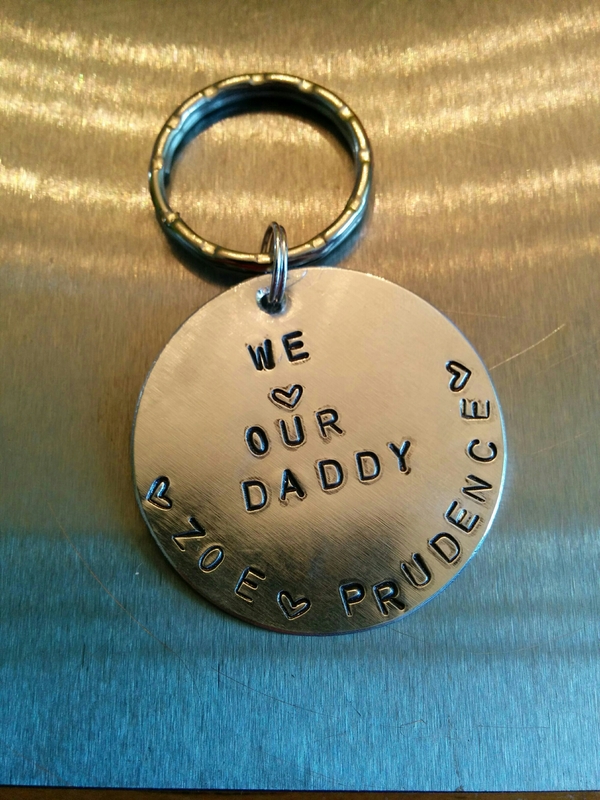 I had been meaning to get into the Hand Stamping Scene for awhile and this gave me the opportunity/excuse to do so. So I ordered in my supplies and did up her order. Then I posted the leftovers up for sale thinking I might hook 😉 a few buyers for the rest of them. They sold within seconds. 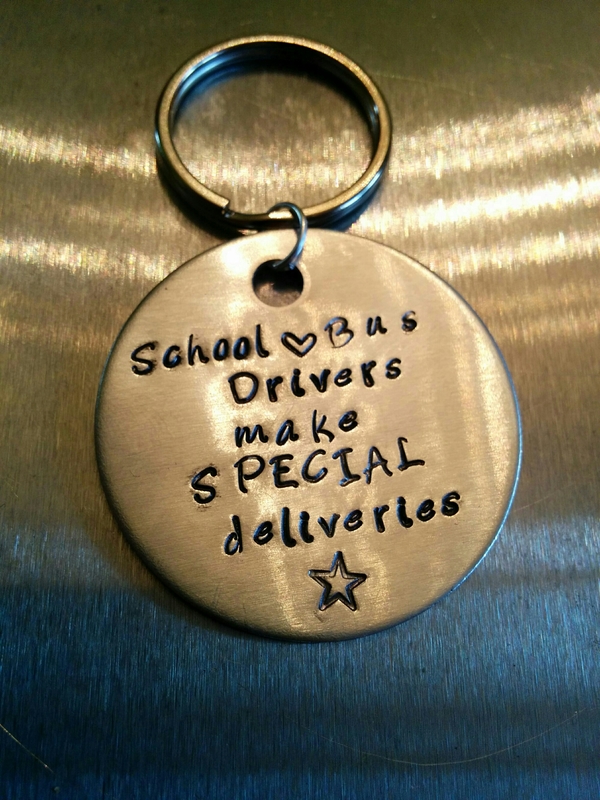 At the same time I had ordered in 10- 1.5″ round blanks to make up some keychains and did one up Friday for Hubby as part of his Father’s Day Gift from the girls. 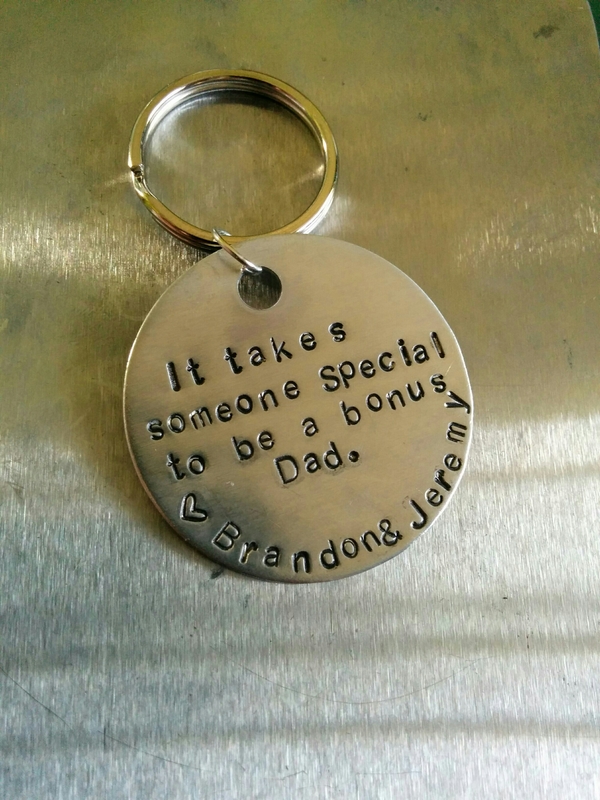 And again, thought it was cute and posted the other 9 up for sale for other last minute Father’s Day Gift givers…within the first 10 minutes I had 30+ orders that kept growing and growing and growing! 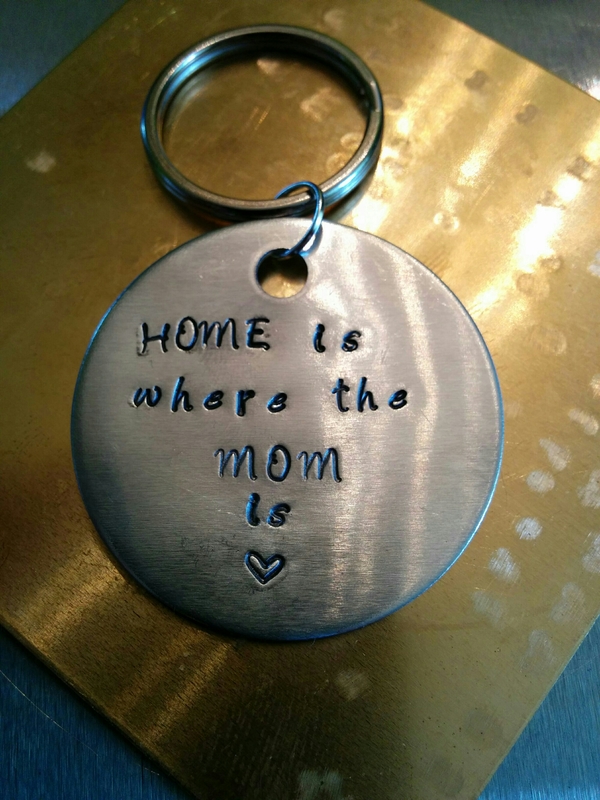 By the time Hubby got off work I was sitting around 70 custom orders to make for Saturday night and only **9** blanks! Off we went to Edmonton hunting for more supplies..after several stops we FINALLY found a local supplier. This meant all my maybes turned to Yes’ and also meant I was non-stop stamping all weekend! 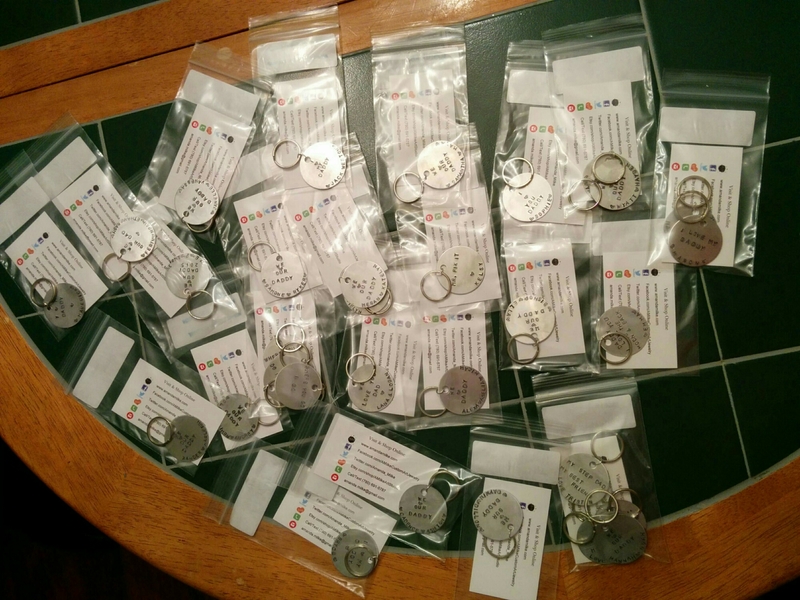 Since Saturday, I’m now sitting at 100+ completed orders with more coming in daily…who would have thought! So if I go off grid again, that’s probably why hah! 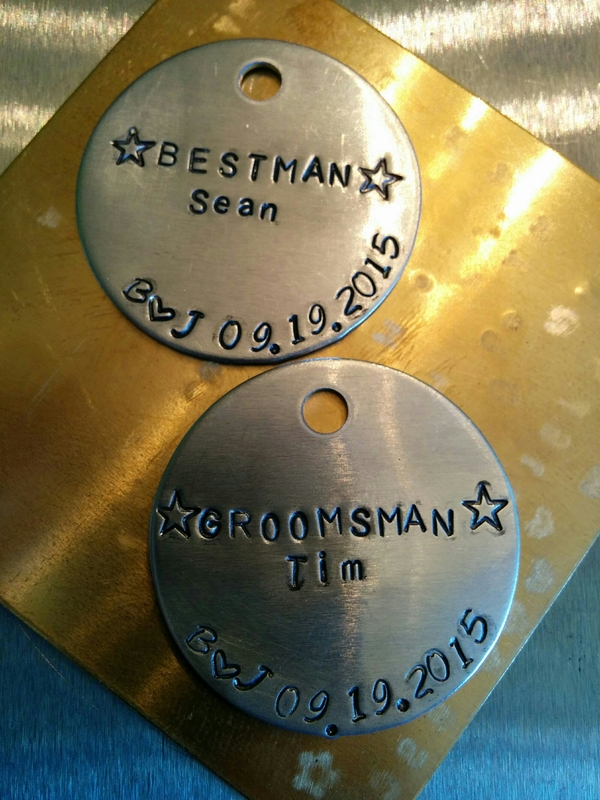 This entry was posted in 2015, 2015 Jewelry Creations, Art Jewelry, canada, commission, Creative Kick Starts, Etsy Shop, For Sale, Fort Saskatchewan, Hand Stamped Designs, Home Studio, In Progress creations, My Creations and tagged Art and Jewelry, Custom, custom orders, Father's Day, Hand Stamped, Keychains, metal stamping, Orders, Stampede on June 24, 2015 by Amanda. Well it’s that time of year again, the sun’s shining, the plants are greening up and the Farmer’s Market season Opens. Our first market starts this Thursday so I’ve been spending the last few nights working on jewelry including some of these colourful beaded wrap bracelets. I’ll post some pictures of the market Thursday night or Friday so check back and have a great night. This entry was posted in 2015 Jewelry Creations, Art Jewelry, Etsy Shop, events, female artist, For Sale, Fort Saskatchewan, Jewelry, Life, My Creations, photos and tagged 2015, beaded bracelet, Beaded jewelry, beads, Fort Sask Farmer's Market, jewelry, memory wire bracelet, summer jewelry, Summer trends on June 9, 2015 by Amanda.